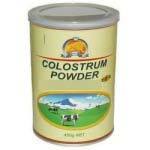 Taking a colostrum supplement is a way of boosting immune system naturally. Over the years, a colostrum supplement was used for various reasons. With each decade, it was found to be beneficial for another round of health problems. For instance, in the 1940s, colostrum was found to benefit those with arthritis and other issues related to the aging. It became known as a source of natural antibodies in the 50s and lead to the development of a polio vaccination. The next twenty years through the 80s, colostrum became a method of treatment for viruses, autoimmune issues, yeast infections, and the common flu. The 90s brought in colostrum to be used for stomach ulcers and other stomach related bacteria. Colostrum supplements are now used by bodybuilders to burn fat and build muscle. Side effects of a colostrum supplement are not obviously noticed. Although rare, some may experience abdominal problems to include diarrhea. If you suffer from allergies which include milk products, you may develop muscle aches, headaches, and further abdominal problems. Side effects are rarely experienced when using a supplement of colostrum. If any, and as mentioned above, are experienced, they would be temporary.